Surface-mounted wiring is frustrating to the homeowner. But, there is an easy fix to this situation. You can add to the existing outlet, run a channel down the wall, and add a new box and outlet in a location convenient to you. Maybe you have a block wall that needs outlets added to it. It could be a basement wall, garage wall, or even an under-counter outlet addition. You may use the metal type surface wire mold or the PVC type. Either, with its connection pieces, lengths of molding and boxes, make installing it easy. By adding additional lengths and boxes, you can add many outlets to any area in a room. There are inside and outside corners to go around corners and even the choice of single and double boxes. Lengths are installed on walls with either a sticky-backed channel or mounting clips that are attached with small screws to hold the channel in place. Boxes may have a solid back that flush mounts or a the box may have an open back that attaches to an existing outlet box, allowing that circuit to be extended. The boxes and fittings may be pre-colored, or the metal ones can be painted to match the wall color. Surface-mounted wiring is achieved when you use hollow channel (often called raceway) to extend the circuit. By simply adding a surface-mounted extension box, add a piece of raceway, and add a box to the new location, you'll have a new outlet in your home in no time at all. With the choice of a shallow or deep box, you can add a regular outlet or a deeper GFCI outlet to any area in your home. 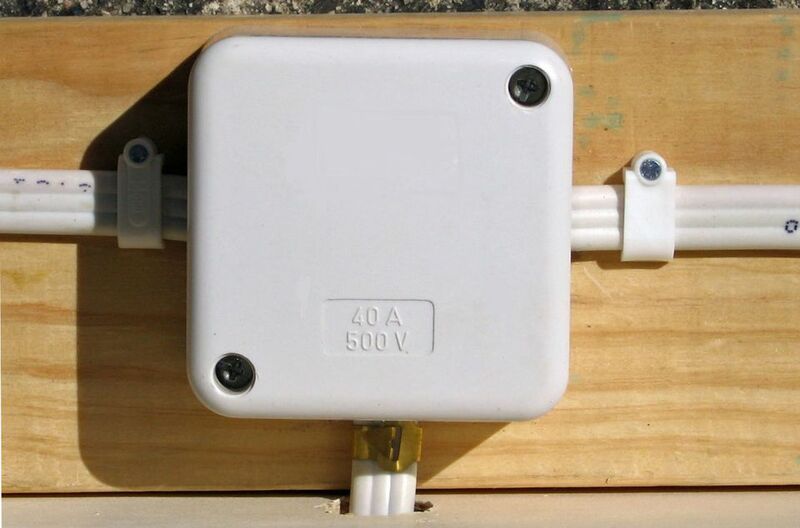 Simply fasten the extension box to the original outlet box with two 6-32 screws, and you are ready for an outlet. The boxes and raceway are made of PVC plastic and are very durable. The raceway comes standard in 5' lengths. There are inside and outside corners, splice plates, and 90-degree corners to form the raceway in whatever direction you need to go. The raceway comes in two pieces that include the back and front cover. There are shallow and deep boxes for all of your different installations. There is also two-gang boxes that will accommodate more than one device. These boxes allow you to extend outlets, switches and also light fixtures. That's right! You can actually tap into a circuit, add a switch, and then feed a light fixture in the middle of your ceiling. I know that some of you have homes without a light in the ceiling, but this can give you one and shed whole new light in your home! The downfall of this installation is that is visible, but with the addition of paint, you can make the raceway and boxes blend into their surroundings. All in all, this makes a quick fix to a problem of too few outlets. Always remember that the circuit that you connect to can only handle so much load. More outlets don't mean more power, just more places to plug in to.